What is SW Music therapy? Music and Qigong (vital energy exercises) shared the spotlight as the two fundamentals of traditional Chinese medicine in ancient times. Music was considered to be the most important and the foremost of the two; hence the character for ‘music’ was created before and placed above the character for ‘herb’ to form the character for ‘medicine.’ Yet Chinese musical treatment has been nonexistent for the last 3,000 years. Why? It was lost due to a series of unfortunate incidents in the history of China. But Master Shen Wu re-discovered the therapeutic effects of music by studying the ancient texts. He then combined the two powerful healing therapies of music and Qigong to form his Music Qi Gong Therapy. Now music is restored to its rightful stature as a healing therapy. Shen Wu Music Qigong Therapy is unique. Shen Wu's music carries Master Wu's energy. The music used in his remarkable therapy is also composed according to the Five Notes Theory seen in the Chinese medicine classics, such as I-Ching and The Yellow Emperor's Classic of Internal Medicine. The five notes correspond to the five major organ systems in Oriental Medicine. There are also twelve principle tunes that loosen and smooth the twelve meridians (pathways for the flow of energy in the human body). It is the combination of Master Wu's energy carried by the sound waves and the healing notes of the sound waves that create a powerful and unique therapeutic effect. 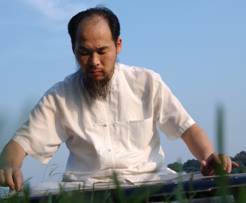 The energy from the Master Wu's music can be combined with two other therapies to create an even more powerful therapeutic effect: Energy therapy and Qigong exercises. Energy therapy is a powerful, natural, and effective way for people to gain energy and heal the body of disease. Without touching the patient's body, Master Wu removes the negative Qi (energy) and replaces it with positive Qi, thus correcting the imbalance and allowing the body to resume its natural state of good qi flow and good health. Qigong exercises are gentle, simple exercises used to gain qi (energy) from the universe and thus to increase the body's qi. Health, vigor, and longevity are associated with an abundance of qi circulating freely throughout the meridians of the body. Qigong practitioners will be happy to know that they can receive the most energy during qigong exercises by listening to Master Wu's music at the same time. This is because one is receiving Master Wu's energy through the music as well as energy from the universe by means of the qigong exercises. Qigong exercises are extremely effective, easy to learn, and take only a few minutes to practice; all of which make qigong an excellent way to gain and to maintain excellent health. Whether you are in excellent health and wish to maintain it, or in poor health and wish to gain excellent health; you can benefit from the unique therapies created by Master Shen Wu. 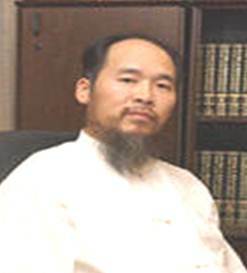 He offers an introductory video tape which teaches the basic qigong exercises; his energy music on CD and cassette tape; classes free to the public in which he teaches qigong; special workshops; and energy therapy treatments in which patients receive energy in the same style that the ancient Emperors of China once enjoyed. This is a part time program. This course is done across 6 months covering 120 contact hours (80 hours theory + 40 hours cases review) and 120 non-contact hours (project hours). 80 hours, for theory and exercises pratice, within continues 10 days by 8 hours per day. 120 hours for 30 case study within 5 months. In order to qualify for this professional certificate, students must attend the 80 hours theory classes, must complete 30 cases study and 1 individual presentation test, 1 assignment and 2 paper examinations. *Inclusive of examination fees, modules, notes 包含考試費, 講議等. Professional certificate with title of “Certified SW Music Therapist” will be awarded by Institute of Professional Development, Open University Malaysia to participants upon successful completion of the course. Practiced and taught Music Qigong as an alternative healing therapy and treated many seriously ill patients. Bumrungrad Hospital, Bangkok, Thailand (Asia's first internationally accredited hospital), Visiting Doctor, Director of Joint Commission International, and Expert of Traditional Chinese Medicine. Conducted joint research on terminal cancer patients with Dr. Neil Finkler, Gynecologic Oncologist of Walt Disney Memorial Cancer Institute, Orlando, Florida. Applied his Music Qigong healing techniques to various types of terminally ill cancer patients, who were given up or not healed under conventional medical treatment. MRI and other scientific tests after his treatment show patients with significant improvement. Director Emeritus of Henan National Hospital. Made research in his therapeutic theories of music and developing various type of training classes both in China and the US, using Wu's own textbooks, VCD, and DVDs. Beijing International Qigong Center, two short term training programs for Chinese medicine and qigong. Under the direction and supervision of some famous Chinese medicine experts and professors, systematically studied the theories of Chinese medicine, including: the Basics of Chinese Medicine, Prescriptions of Traditional Chinese Medicine, Acupuncture, Diagnostics, and Chinese Materia Medica. "Music Before Medicine, and the Medical Research Report on Treating Terminal Ill Old Cancer Patients", a paper presented at the Fourth International Conference on Senior Citizens, (jointly held by China People's University, Beijing University, Qinhua University, Hong Kong University, Capital Medical Science University, China's National Senior Citizen Commission, and US Overseas Chinese Senior Citizen Issue Research Association), Beijing, China, October 15, 2003. "Music Qigong - Five Pentatonic Tones Correspond to Five Major Organs", the 7th International Congress of Chinese Medicine, American Eastern Medical Institute, August 1, 1998. "Dongfang Fuyin - Music Qigong", The Academic Conference of the Tenth Anniversary of the World Federation of Acupuncture - Moxibustion Societies, the International Convention Center, Beijing, China, November 1-3, 1997. 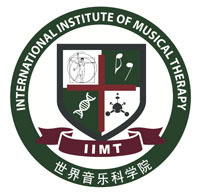 "The Lost Musical Therapy Appears Again", The Fifth International Conference on Chinese and Western Medicine, University of Southern California, CA, July 26, 1997. "Musical Therapy and Qigong Together as a Healing Method", First International Qigong Conference, Medical School, USC, CA, 1997. "Music and Ancient Chinese Medicine to Help Mankind", Certificate of Honor, presented by Health Today, Inc. a Chinese Journal published in New York, May 17, 2003. "Honorable Celebrity Prize" for the documentary "Music Before Medicine" which features Master Shen Wu and Music Qigong Therapy at Cannes Film Festival, May 2000. Certificate of Member of "World Famous Traditional Chinese Medical Doctor" by International Association of Integrated Medicine, April 1999. Certificate of Member of "World Qigong Master" by International Association of Qigong, April 1999. Certificate of winner of "World Excellent Traditional Chinese Medical Product" by International Association of Integrated Medicine, April 1999. Listed in the "Who's Who" of world outstanding people, published by International Biographical Center, Cambridge, England, 1997. Certificate of Honor presented by the President of the United Qigong Association of Eastern America for Wu's teaching and practicing of Music Qigong as an alternative healing and healthcare method in dozens of American cities, February 1995. Featured report on Music Qigong in "Qianfan Jin Fengliu", a book about the successful people in Henan, China, prefaced by Li Changchun who is currently a senior leader in China's Central Government, Xinhua Press, February 1994.